Chase has probably one of the most strict rules when it comes to new credit cards in the industry. They’re very sensitive to how many cards that you’ve opened up in the last two years and will automatically deny anyone who tries to apply if they’re not an exception, as described below. If you don’t meet the exceptions there is nothing that you can do to open up a new credit card with Chase if you don’t meet the rules set in place by Chase. There are some ways to get around this rule if you qualify for them, but even then it comes from patients and a lot of waiting if you ever want to apply for a new Chase card again. This is why most people when recommending credit cards to friends and family asks how many cards you have opened in the last 24 months. Overall Chase has some of the best offers and best credit cards on the market today and it’s worth to pick up one or two of them to make the most of your rewards. The rule is pretty simple and easy to calculate. You can not have opened more than 5 new personal credit cards in a rolling 24 month period. You can open up as many business credit cards as you’d like and have virtually any combination of hard pulls on your credit, but if you’ve opened up more than five personal credit cards in the past 24 months you’re out of luck. In addition this isn’t just Chase credit cards, this is all credit cards listed on your credit report that Chase takes into mind. What Cards Are NOT Affected? Note: It’s not exactly clear why these cards are exempt for the rule, it may be due to the partnerships Chase has with these companies but it’s all speculation. ‘Selected Offers For You’ – This shows up in your personal Chase login account and anything that has a green check mark will get you around this rule. In Branch Offers/In Branch Preapprovals – It seems as if Chase’s online and in branch preapprovals are different, it’s worth stopping in every once in awhile and seeing if a banker shows any preapprovals on your account. These may differ from ‘Selected Offers For You’ and will get you around the 5/24 rule. Business Relationship Manager Paper Applications – Chase has business relationship managers whose job it is to be a business advocate and sell Chase services to businesses. It has been confirmed that these paper applications will get around this rule. This is probably due to the fact that they’re submitted to a different department and handled differently than normal Chase applications. This can be great if you’re looking to open up business credit cards from Chase. Targeted Or Invite Offers – These are usually mail offers that you will get with specific invite codes in them that you have to enter at the time of application. I’ve seen data points of this being a hit or miss with application success. Authorized User On Other Accounts – If you’re an authorized user on other accounts you can call the Chase reconsideration line after applying and explain that you are an authorized user on other accounts, this only works if removing those authorized users will get you under 5/24. 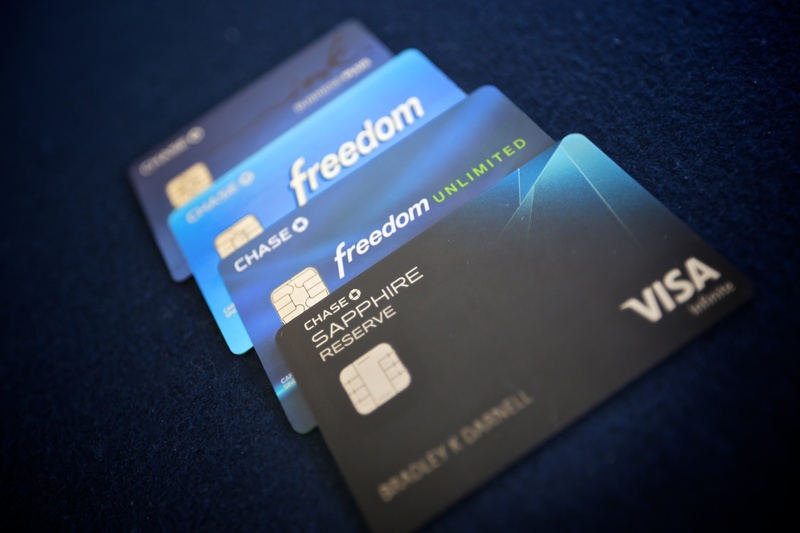 Chase cards are the most sought after cards in the industry, if you can find yourself under 5/24 it opens up many opportunities for better offers and amazing valued credit cards. Chase is always trying new things with their offers and credit cards so things like banners in the mobile apps or new methods might not always bypass 5/24. We are presenting you the concrete information that we do know about Chase’s rule.